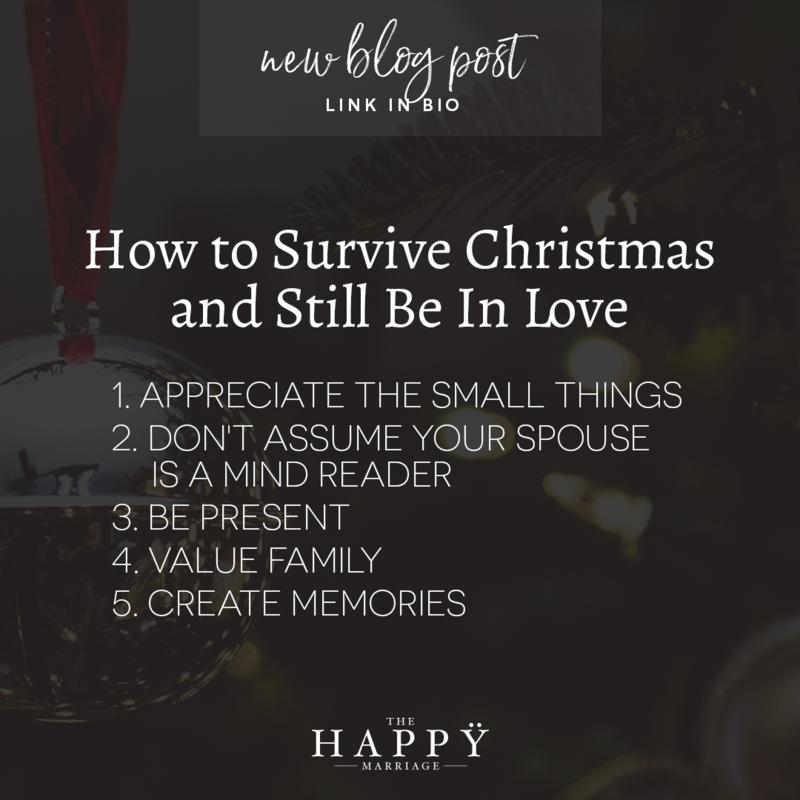 Practicing gratefulness in the little things and a little mindfulness and you can enjoy your way through almost any Christmas craziness. Didn’t get what you wanted? Kids going psycho on sugar and colouring? Family member brought up that ‘thing’ again and decided Christmas Day was the ideal time to sort it out? Distilling the moments down to the smaller things you CAN appreciate is super helpful. Spending time together, watching your kids faces as they open the present they DID like, catching a smile on your spouses face, when someone helped clean up. See if you can focus on the good, the small things that lit up your day. A conversation Beck had with her mum before we were married really helped us in this area. I just wasn’t getting something. Beck thought I should just *know* it. Pick it up intuitively. That she ‘shouldn’t have to tell me’. It sadly doesn’t work like that. Just speak. Be kind but speak it out. Say what you’d like to happen. You have to coach your spouse on how to understand and love you. Don’t be afraid to be clear, open and honest about it. Just couch it all in love. Sure, get some happy snaps on your iPhone, a few videos of the kids together but don’t get lost on your device. Put it away, lock it in your bedroom or a drawer. Leave it in your wife’s handbag (you may never find it again!) so you’re not tempted to pull it out when your crazy Uncle Joe goes off on one of his long stories! Be present with your spouse and family and just be in the moment with them. Family is funky. It’s just how it can be. Not everyone gets along all the time. But that doesn’t mean we should just write it off or endure whatever time we have to spend together. Value it. See it as an opportunity to build your relationship a little more. Ask questions… and don’t tune out to the answers. Probe a little more. Value the time you get with them. You never know how long you’ll have to appreciate and get to know them. Do something different. Get on the trampoline with your kids. Play some cricket or soccer. Get involved. Don’t hide away in the warm or cool. Take a big family selfie or some group photos. Set up a photo booth or take video interviews asking funny questions. Then, create an album on Google Photos or whatever you use and send out links so everyone can view. What can you do to create some great memories with your tribe this Christmas.